The most successful search marketing strategies contain one hack to scale SEO performance - and it has nothing to do with search engines, links, or content. They align the entire organization to their goal – increasing visibility in search results and attracting as much organic search traffic as possible. It’s only when everyone understands the value of search engine optimization and sees its value in terms of their goals that the true growth of an organization happens. We spoke a lot about this idea recently. For example, our co-founder, Mitul, advised you on bringing the SEO strategy in-house. In another post, he shared his recommendations for spreading SEO across an organization. In this post, I'll illustrate another idea to help evangelize SEO within your organization – using reporting to demonstrate the value the channel delivers across various departments, not just the organization as a whole. According to business intelligence platform, BI-Survey, companies use at least 5 - and sometimes up to 20 - data sources to inform their decisions. They’re right in doing so. A study by the Sloan School of Business discovered that companies that focus on data for decision-making experience a 6% higher productivity and output. But what’s that got to do with SEO? I’m going to leave inconsistency aside; the issue is separate to our discussion. The buy-in, however, relates directly to the data. Because it’s hard for anyone to absorb the idea of SEO without understanding the effect it has on their work, goals, and objectives first. Take your IT colleagues, for example. When you talk to them about SEO-related issues – say, broken links - you discuss something that isn’t aligned with their goals. After all, IT wants to provide fast and good experience for website visitors. But showing a proof how well-built and optimized website increases user engagement immediately aligns SEO with their goals. Similarly, a management team of a particular hotel property will, most likely, pay little attention to SEO. After all, they’re too busy overseeing everyday operations and trying to meet sales targets. 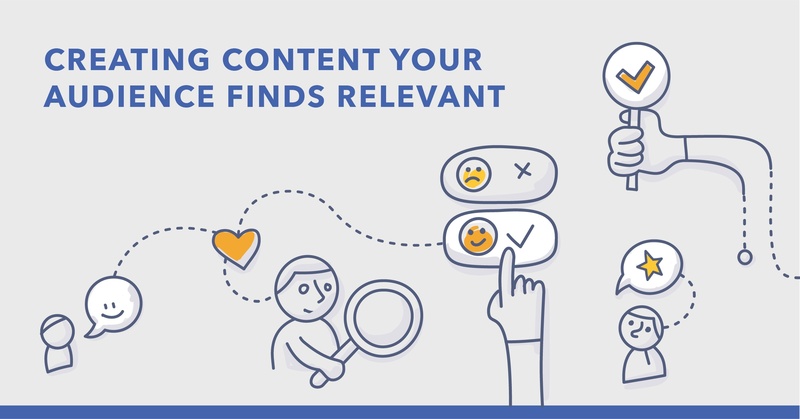 However, their attitude might change once you show them how growth in visibility or a boost in online reviews can contribute to their bottom line directly. Suddenly, helping out with SEO becomes beneficial to their business. What’s important is that, in both examples, the way to communicate this SEO value is through reporting. 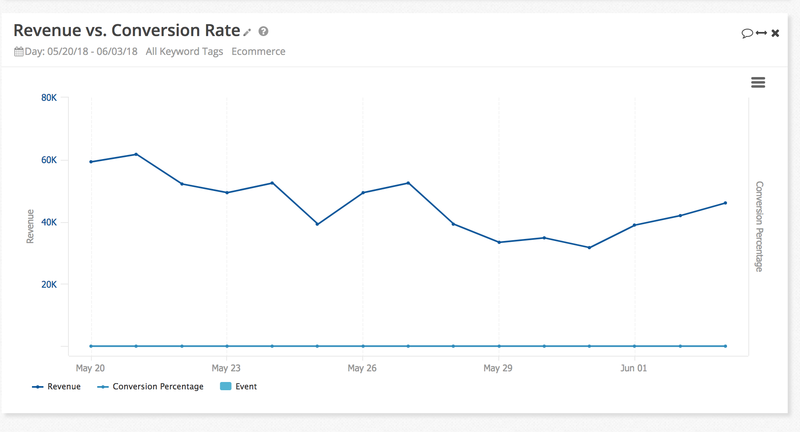 Showing every department the data explaining the effect of SEO on their work, goals, and objectives can change their perception of it immediately. There is, however, a problem here. Unfortunately, from experience, I can attest that SEOs often fail at communicating the value of their channel. Data for the C-suite only. In the process, many of them disregard one crucial aspect - whether the report’s recipients actually understand the significance of those metrics. Many SEO reports I’ve seen focused on rankings, for example. Sure, search positions are a prerequisite to gaining search visibility and achieving other business goals; but for anyone apart from SEOs, a shift in rankings signifies absolutely nothing. And clearly doesn’t communicate the value of the channel to the recipient. The situation is no different with reporting on backlinks, organic traffic, content engagement and many other metrics. But don’t get me wrong, all this data and reports are important, just not for everyone. To align the entire organization to SEO, make the data you report relevant to every person or department you want on your side. Instead of creating a single report, you must output separate data for everyone involved to show the impact of SEO on their work. Use the data showing potential gains from SEO to motivate them to think about it more seriously. Focus on sales, bottom line and assisted conversions in the report for the CEO. Also, show the year on year progress you’ve made with those. When speaking to regional managers, for example, highlight positive reviews or satisfaction scores, and show how they contribute to higher visibility and more sales. Show the IT department how improving site speed or reducing usability errors leads to greater user engagement. PR departments would, most likely, prefer to see the engagement and impact content has had on brand visibility, and so on. In other words, the key to aligning other departments to SEO is to identify metrics and data that presents it in the context of their goals. However, there is one more problem with it. Reporting takes a significant amount of time. I’ve spent countless hours outputting reports one after another. It would take even longer if you had to output multiple reports every month, right? Not necessarily. At least, not if you use a dedicated tool to help with reporting. In fact, from conversations with our customers, we know that analyzing the data can take up to 22% of SEOs time. 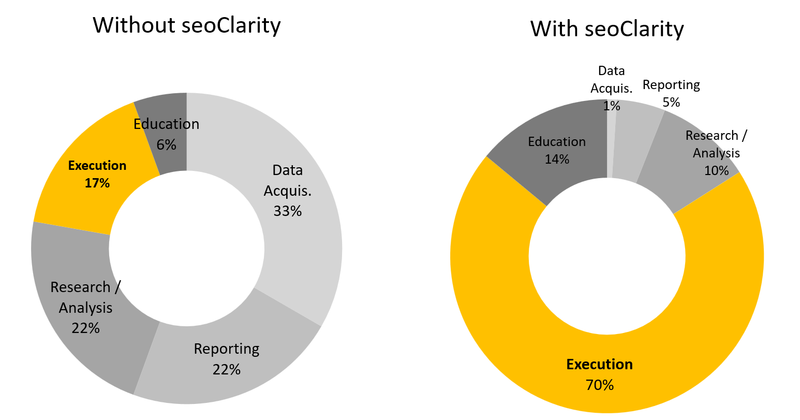 All admitted, however, that an enterprise SEO platform like seoClarity reduced that time to 5%. And that’s regardless of how many reports they produced simultaneously. How? By giving you an option to create custom dashboards for any department and present only the data you want them to see. Once set, a dashboard will update it data automatically, so there’s little work involved after that. However, each would deliver insights relevant departments would need to see the benefits of helping with SEO. 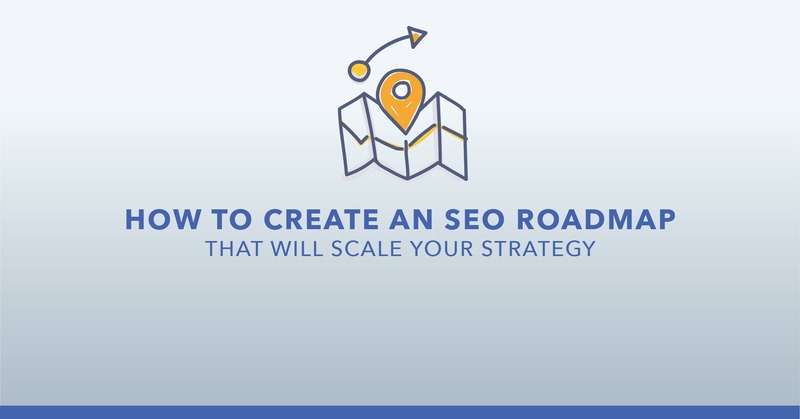 Every growing organization aims to scale their SEO. However, only a few truly achieve a seamless synergy. Their secret? Aligning all relevant departments around a common goal of increasing search engine visibility and revenue. Reporting allows each team to monitor performance and communicate that message throughout the organization. By tailoring reporting to each department, you are able to present SEO in the context of the other departments’ goals and objectives, identify assisted conversions and the conversion rate that are contributing to ROI and celebrate the successes of each department. 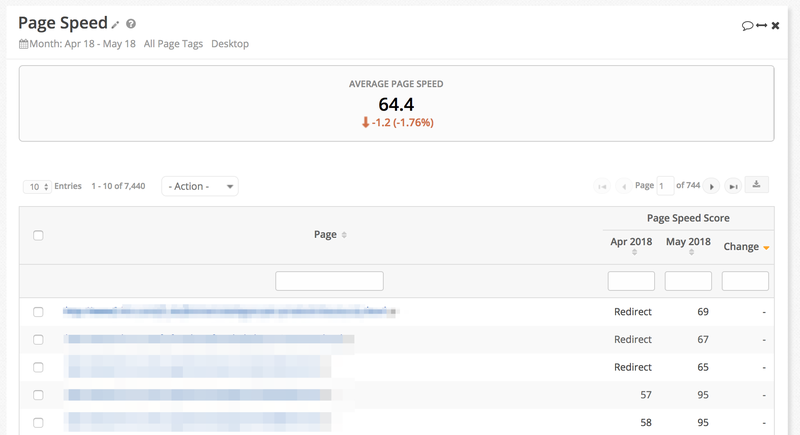 Want to get a demo of seoClarity and see how it could help scale your work? Reach out to our team below and schedule a demo today!